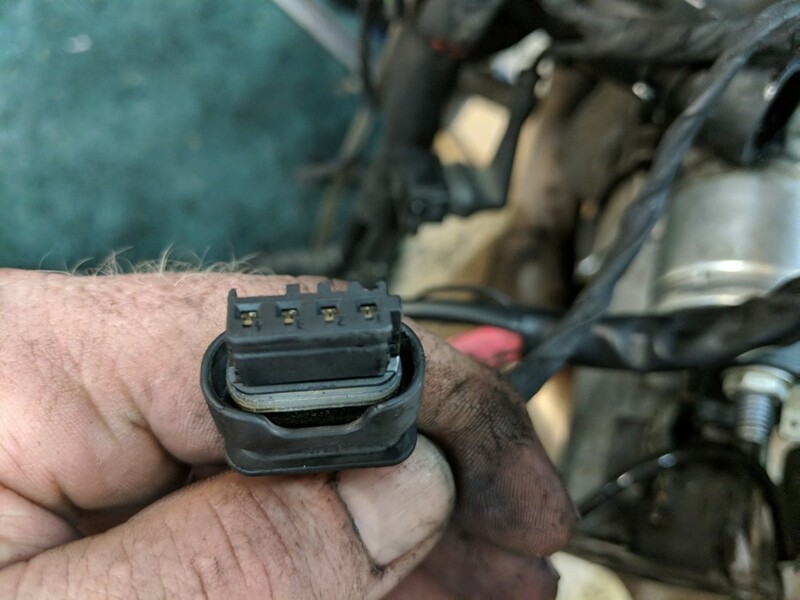 Hi guys, doing trans swap and can't figure out what this plugs into. 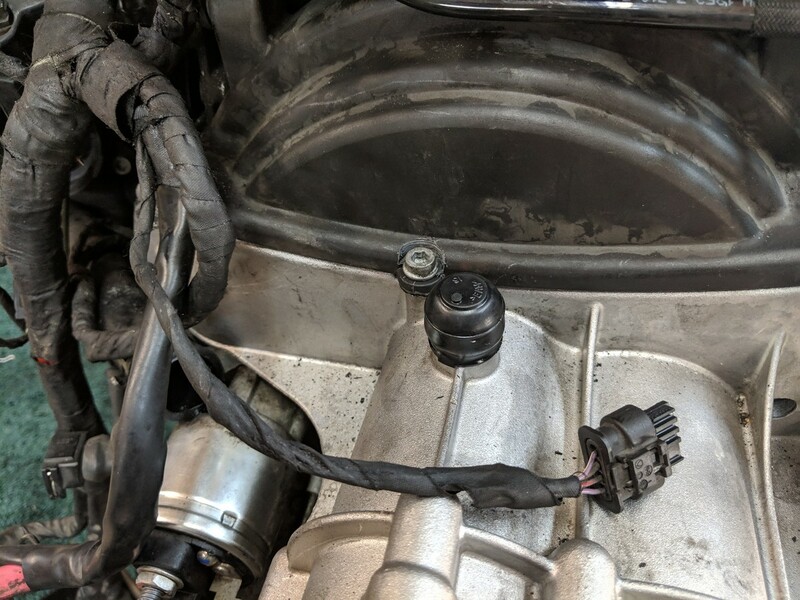 Comes off main harness near starter cable/ tps area. Is your exhaust flap motor plugged in? 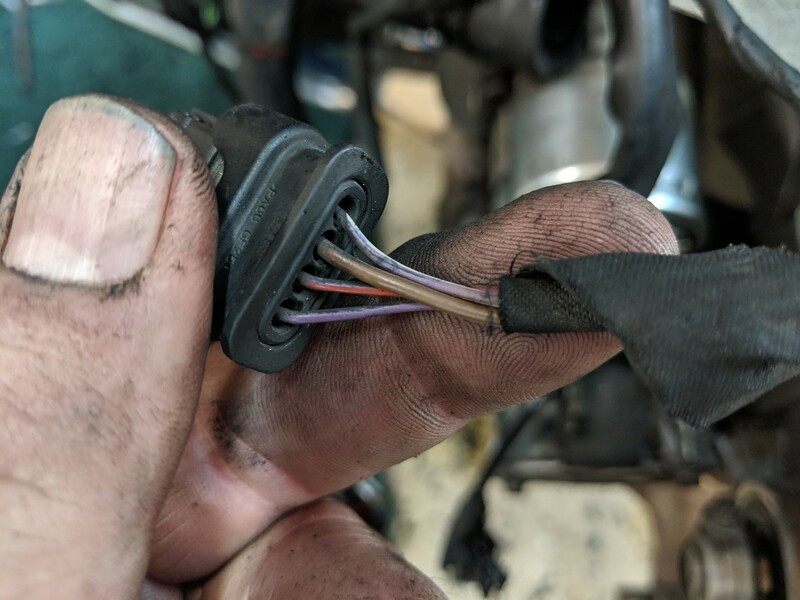 If your exhaust system is still on the floor over in the corner then that exhaust flap motor connection might have been overlooked. that is plugged in..good thought tho. There aren't that many four pin connectors fortunately. If it's not the exhaust valve then it might be the rear shock if it's ESA. Well Pappy the ESA has been disconnected in favor of aftermarket shocks so maybe that's it. I'm going to keep the plug off to the side and available as I continue re assembly. Thanks! I have the Clymer manual that's got really great wiring diagrams. Might want to get one. It's worth the $30 just for that if nothing else. Hell, the $100+ repair manual CD doesn't have a single word written in it about the wiring harness or related troubleshooting. Is Clymer of similar quality? They each serve a purpose. I was astounded that the REPROM didn't have ANY wiring diagrams. For what it costs I was expecting troubleshooting info and wiring. It's handy for disassembly/assembly sequencing, torque specs, tooling part number, and service limits (like brake disk thicknesses, etc.). The Clymer manual is more of a how to do things step by step.